Barry Hilton - I know Dan Faulconbridge pretty well, from a professional perspective at least. As a contributor to Wargames Illustrated for over 15 years I have first-hand experience of his involvement with the magazine from initially assisting Duncan Macfarlane to assuming an increasingly prominent role and post Battlefront buy-out, running the UK end of the show. For those who remember Duncan’s charming if somewhat casual style of editing and proprietorship, things have definitely moved on. The bogeyman stories about an unsuspecting wargaming public being swept away in a tsunami of Battlefront marketing and WI becoming a Flames of War in-house mag have never really materialized (but more of that later). WI has become increasingly professional in the positive sense. Physically it has evolved in something even bigger and more colourful than in its youthful state despite always in my opinion, setting the benchmark for which other publications needed to shoot. Much of that change has been driven by the quiet Mr Faulconbridge. Dan is a polite and generally understated individual but has the focus, energy and manner to get things done. Without being too nostalgic, I look back on the days when DM was at the helm with great affection. Duncan’s unique, erudite but slightly Columbo-esque approach to running the magazine was fun to be part of and some truly landmark content was produced during that golden era. The world and wargaming has alas moved on. 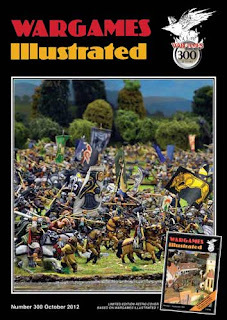 Wargames Illustrated was and is of its time and the approach being taken now seems to fit well with the hobby and the world outside. I am used to sending copy in the direction of Nottingham but with the arrival of our blog decided to reverse the tractor beam and extract information from WI UK HQ. Dan was pleased to have an opportunity to communicate with the market beyond the commonly trod editorial pathways normally available to him. So here is the output of my Skype interview with him at 0830 of a weekday morning. At least one of us hadn’t even combed his hair! What are the macro trends in the hobby for us to access the kind of output that WI and its contemporaries offer? DF: I see big changes. Co Mag (publishers) say magazine sales are declining by about 5% per annum across the board. You only have to look around you on a bus or train these days, most people are looking at screens not paper. Anyone involved in magazine production need to be making big decisions now. It has already started. Games Workshop has very much embraced the change by not only producing digital content but upgrading their printed product. White Dwarf is a fantastic example of what can be achieved. The possibilities are exciting both from a production and consumer perspective. 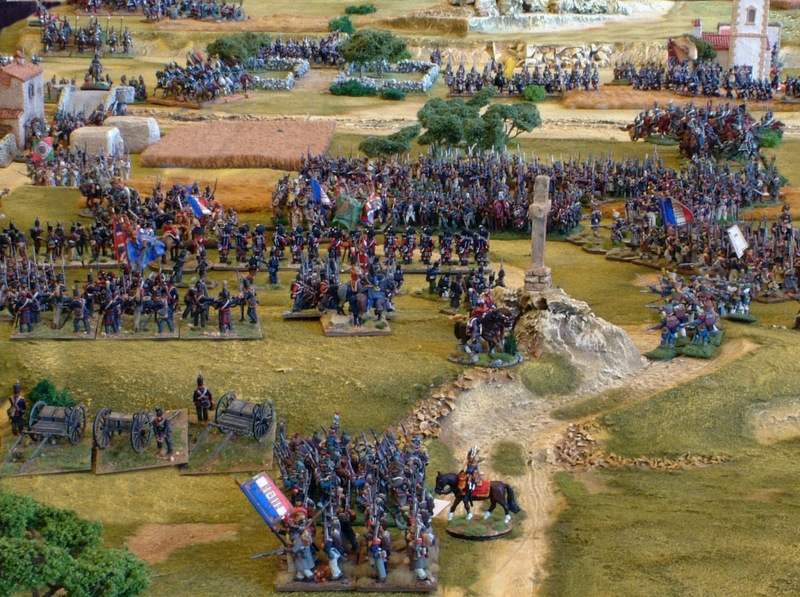 Digital offers the possibility of 360 degree ‘spinner’ pictures, video content illustrating rules concepts and battle reports. We can conduct interviews on video with rules writers, authors and gamers. The flexibility made available by digital content is enormous. So would you stop offering a printed product? 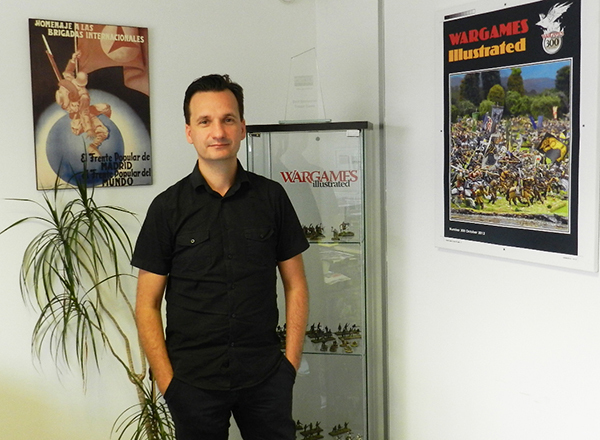 DF: We are absolutely committed to the printed form of Wargames Illustrated but that can co-exist with a digital version offering a very compelling combination. We’ll never stop printing the mag. People are facing some really practical challenges with hard copy too. Storing 300+ issues of a magazine takes a lot of space. Computer based copy is far easier to manage. We are committed to exploring the digital media option and how that can add real value for our readers. How does the magazine decide on the balance between period focus when it comes to content?DF: The magazine is contributor led. We have to wait for the submission of content which creates an article pool. From this we try and hit the big periods every month but that is not always possible if we don’t get the right quality of pieces. Which sometimes happens. DF: Yes , Napoleonic and World War II largely. Of course our themed content is far more directed. We commission those pieces directly. Who decides on the themes? DF: We do, myself and Dave Taylor our US Editor and of course John Paul Brisigotti in New Zealand who is Editor in Chief. He devolves a lot of autonomy to both Dave and I. How much do you worry about the demographic of the hobby? DF: White, middle class and over 50? Well maybe over 40! It is what it is. We’re not trying to change it. We need to cater for our audience and that is what we try to do. It is the most important thing. You’ve just been to Historicon. What did you perceive as the differences (if any) between the US and the UK approach to the hobby? DF (laughs) Well, there is a lot more whooping and hollering at Historicon that at Newark (Notts)! Basically it’s the same people on every level except you see more families at US shows. They seem to cater better for kids particularly. Of course you see kids involved in participation games at UK shows but I saw much more ‘child focused’ involvement in the US. A good example this year was a Lego wargame which the kids really loved. I think American families make a go of the conventions. Dad goes for the full four day emersion whilst Mum and the kids pop in and out via the shops and other activities. That’s different. DF: Hmmm. Don’t know how that would transfer. We don’t do the 4 day experience here do we? I got a call recently from a well-known terrain maker in the UK who told me some kids at his local school were making the transition from 40K to Historical and he asked me what I could do to encourage that. The best I could think of was to send some back issues of the mag to encourage the young ‘uns along the way! Where do you think the biggest leverage is to move the hobby forward and keep it healthy? DF: Duncan Macfarlane is a wise man. I was talking to him recently and he pointed out that one of the biggest bottlenecks in the hobby is painting figures. It takes a long time, it puts kids off and is a real entry-level challenge. The effort required to jump the hurdle is often too much. 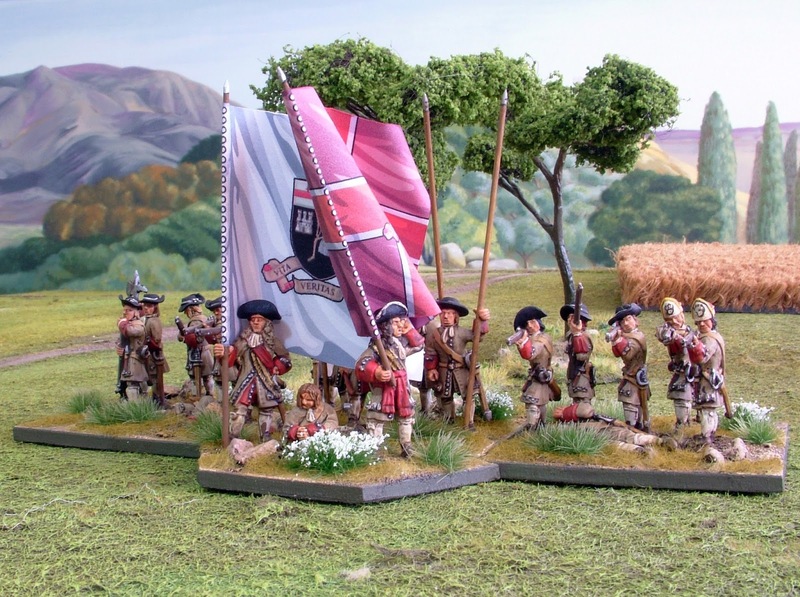 To that extent Army Painter as a product has been a huge innovation. It produces acceptable level figures for minimal effort. In addition, pre-cut mdf buildings have also been a good innovation. They are not to everyone’s taste but they do get a table dressed quickly and are more than acceptable. I also think what people like North Star are doing these days is a great idea. Packaging figures and rule sets together to produce a ready to use game is a great leap forward. It is making entry into a period very easy. Has there been anything you expected me to ask you about that I didn’t? DF: Yeah! The Battlefront connection, I thought you’d focus on that! Why? I thought it was pretty straightforward. They own the magazine, there is Flames of War content, so what? Do you want to talk about it? DF: Yes I do. I thought people would want to know about the proportion of FoW content and what the policy has been. OK, let’s talk about that then! What’s the story? DF: Battlefront bought the magazine from Duncan about four years ago. They employed me as the UK Editor as I was already here. Then they employed Dave Taylor (ex White Dwarf) as the US Editor. There was never any intention of turning Wargames Illustrated into an in house magazine for Battlefront/Flames of War, their website was already doing that job very well. Clearly there is a significant page count devoted to Flames of War content but we increased the overall page count by an equivalent number thus balancing the whole thing out again. The idea was to gain new readers for WI via the FoW players and at the same time encourage them to look at other periods. We didn’t stop featuring other WWII gaming systems and figures. Overall the plan was about increasing magazine sales and broadening the hobby catchment. DF: Yes, but Battlefront illustrate the hobby very well. Their scenarios, historical background pieces and content cover their chosen period perfectly and that is totally in tune with Wargames Illustrated and what it aims to achieve. Dan, how was it for you? DF: (Laughs) I’ll wait to read it on the blog! Seriously, it was good. I am very proud of what we do here at the mag and what we have achieved. It is also important to connect with the actual and potential readership and put our point of view. I have found being interviewed interesting and would like to do it more.